Discussion in 'iPhone and iPad Games' started by swisssk8er1, Jun 18, 2015. This is by Zarista Games who made most of the "The Quest" expansions and "WizzardIsland". 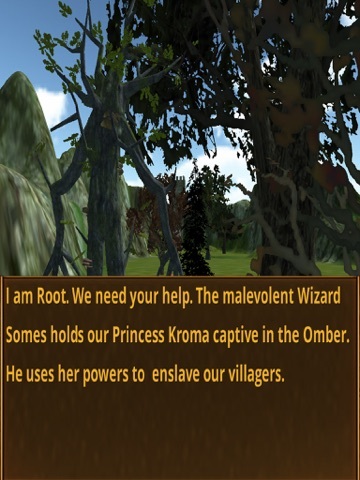 Omber is an immersive, first-person, role-playing game.The Wizard Somes has captured the Princess Kroma and keeps her prisoner in the Omber, an alternate dimension. He uses her magical powers to enslave the local villagers to work in his mines. It's your mission to kill Somes, free the villagers and free the Princess. There are resistance fighters who will help you. You'll have Root, a wise Ent to adventure at your side. 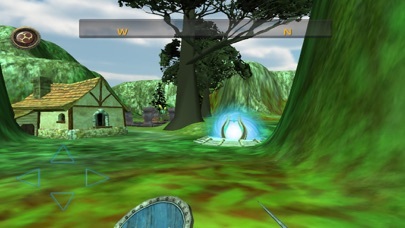 Move within a beautiful, 3d world with appeal and challenges for Adventurers of all ages. Old-school atmosphere. Easy controls. 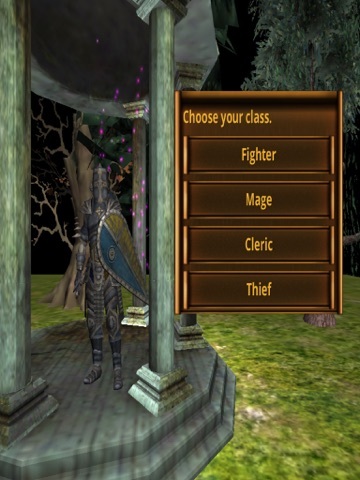 Multiple side quests in addition to your main missions. Level up by battling your foes. Earn reputation points by doing good deeds. Find Sparkles of Happiness to fatten your purse. Mine, create potions, weave, make shoes, forge weapons and more. Thanks so much for the post. : ) It's a bargain basement price of 0.99 cents because we want people to enjoy our stories---just call me Dollar Tree Cat. : ) And we are using a new engine which has so many features we love, like being able to Mark and Recall to a scene of your choice. You have to buy the Scroll--available from Pedsipec's shop in the Resistance Hideout. We think the story is compelling and put a lot of work into the terrains, including some beautiful underwater terrains. I think you will get a lot of bang for your buck and want to revisit the world when you have a free moment to wander around. The intro music is particularly compelling--it makes you think of the sad Princess with a spiky magic collar around her neck, subdued by evil magic and whose power is being used by a horrible villain to enslave her and her people but of course you will save them. Just downloaded it. Really impressed, its a nice nod to old skool RPG's, seems to be quite a huge land to explore. Touch controls work well. Only had a quick go talking to some characters, finding out about various missions etc. 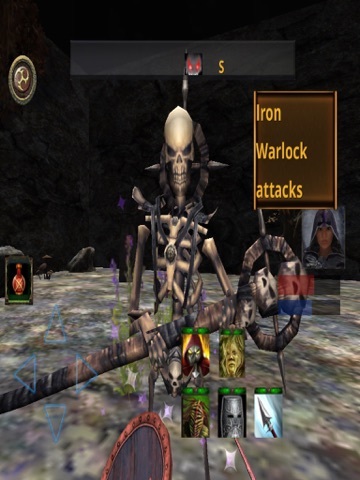 It reminds me of some old skool RPG's on iOS a few years back, thats not negative, thats positive as i love the 'old skool' vibe from this one. Please stop saying old skool so much. It hurts. The graphics (even the icon) look hm... I don't want to say bad, because the graphics are the least of my concern, but they look rather... unpolished. Makes me worry about other aspects of the game that aren't polished as well. Still though, for a buck I'll get this. Oops yeah that was a few too many ! I just saw that this developer also made WizzardIsland. I couldn't get past the lack of polish there, so I doubt I'll be able to do so here. PS: the game engine for this and Aralon are the same. Unity 3D. @Elsa--Omber is made with Unity and a newer version of the ORK editor. I'm at fault for the icon because we are a small outfit and graphics are not our strong point. But I swear the other graphics in the game are very good because we used graphics from Sylon of Redshift and a lot of graphics from the Unity asset store, except for one small icon--not mentioning which one. : ) I did make that one too. It's a closed book. So please try the game and forgive me for the icon. : ) We have made games for many years that have made people very happy so please give it a try. I don't really follow what is going on with the shield in your character's hand. From that perspective you should see the back of the shield. I would like to see what combat looks like as well. I am buying your game. I want to support your future gaming endeavors. Keep up your efforts there is marked improvement. Cheers to you. I am a veteran of The Quest series and will definitely be giving this a try. 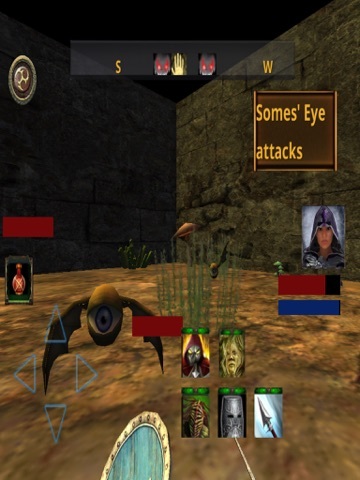 For those who never played The Quest I can promise you that the games always have depth, colour and prolonged interest and I don't doubt this game does too. Please support this excellent developer. I asked this myself, too. Barefoot Dragon and Rattyfuss--and everyone who bought our game---Thanks for the support! We think you will really enjoy Omber. That view of the shield is as it's animating in front of you so you see what's really the side there. Combat is first person. It's not hard. 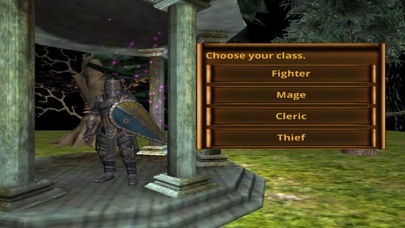 There's a skill bar that is very responsive and gives you a choice of using your weapon or spells. And there is an on screen health potion for those who just want to explore. But even so I died because I forgot about the traps. And some monsters are punishing. Combat is real time but the on screen health potion helps. Gosh people seem a bit pedantic here! May be I am odd but I just accepted the shield showing its best side and the icon as being an Ent. Have either of you played the game? I am playing it and finding it great fun, the scenery is lovely and it's a world that's easy to get lost in. The combat here is definitely better than in WizzardIsland. You should give it a try. Well I think the icon rocks! This is a great game! The world is interesting and great fun to explore. The quests are well-written and fun to solve. I look forward to sinking many hours into this over the weekend.